New mode of play for console version. 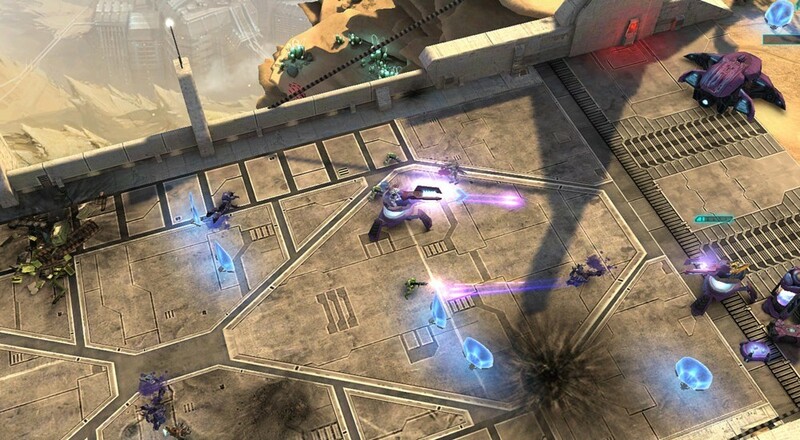 Halo: Spartan Assault was released for Windows Phone and Windows 8 devices last year. The only way to get the game was to be running the latest version of Microsoft operating system or have a Windows Phone or Surface tablet. The "scarce" availability is about to become more widespread as an Xbox 360 and Xbox One version of the game has been announced. This isn't going to be a straight port of the original game, instead we'll be getting new missions and an online co-op mode for two players. The new missions will reintroduce the Flood as an enemy as well as add new weapons, armor abilities, and other power-ups. I've been playing the Windows 8 version of the game with an Xbox 360 controller and it's a ton of fun. The missions are short but challenging and there's a good sense of replayability. The graphics look great and all the familiar sound effects and enemies are present. The only thing that bugs me about the game is the in-game micro-transactions to unlock bonuses and starting weapons. You can still earn the stuff by grinding out levels, but it definitely feels like a money grab after paying for the game already. With the addition of the co-op mode to Spartan Assault, the game continues the tradition of every single game in the Halo franchise featuring cooperative play. A price hasn't been set but the game will release in December as a digital download. In the meantime there's a new trailer which you can peak at below.